We believe that baptism is an important step of obedience for every person who has placed their faith in Christ as his or her Savior (Acts 8:35-39). Therefore, we are very happy you are interested in taking this step of obedience. At Ivy Creek we believe that the blood of Jesus Christ, shed on the cross, is the sole basis for the forgiveness of sin. Therefore, we teach that salvation is entirely of God, by grace, on the basis of the redemptive work of Jesus Christ on the cross. It is the merit of His shed blood, and not on the basis of human merit or works (John 1:12, Ephesians 1:7, Ephesians 2:8-10, 1 Peter 1:18-19). If you have taken the first step of believing in Jesus Christ as your Lord and Savior, then you are ready to be baptized. When you are baptized, you are being obedient and outwardly expressing an inner reality. Baptism is your opportunity to show others that you have believed in Christ and are now walking with Him. Baptism is, therefore, representative of your new life in Christ. Because Jesus explicitly instructed believers to be baptized, baptism is an act of obedience. While it is not necessary for salvation, it demonstrates submission to God. At Ivy Creek Baptist Church, we baptize by immersion because we believe Scripture shows that Jesus modeled (Matthew 3:13-17) that for us as the way to publicly acknowledge our faith in Him. You placed your faith in Jesus Christ as your Lord and Savior as ordained by God the Father (John 3:16). You shared in His death, burial, and resurrection, illustrated by going under the water (dead to your old life), then rising again (new life). You were symbolically washed clean, and your sins were forgiven by Jesus’ death on the cross. The baptism process at Ivy Creek Baptist is simple, yet meaningful. The simple steps below give a high-level overview. 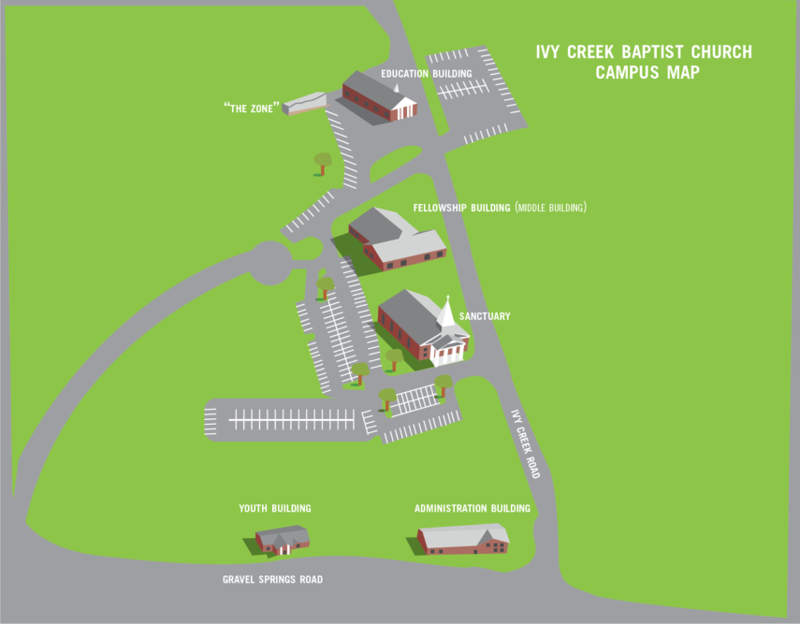 Learn more about what Ivy Creek believes and teaches about baptism by scheduling a visit with one of our pastors. Schedule your baptism by contacting our church office. Baptisms take place during Sunday morning services and special scheduled baptisms throughout the year. Feel free to contact us at 770-932-8453, through our contact form, or email office@icbcga.org.